I find White Star china and silver patterns quite intriguing. Every time I find a new photo and think, wow, maybe we will learn how a pattern was used, I am often stymied as the photo shows the typical patterns in use and not the rarer items I’m after. 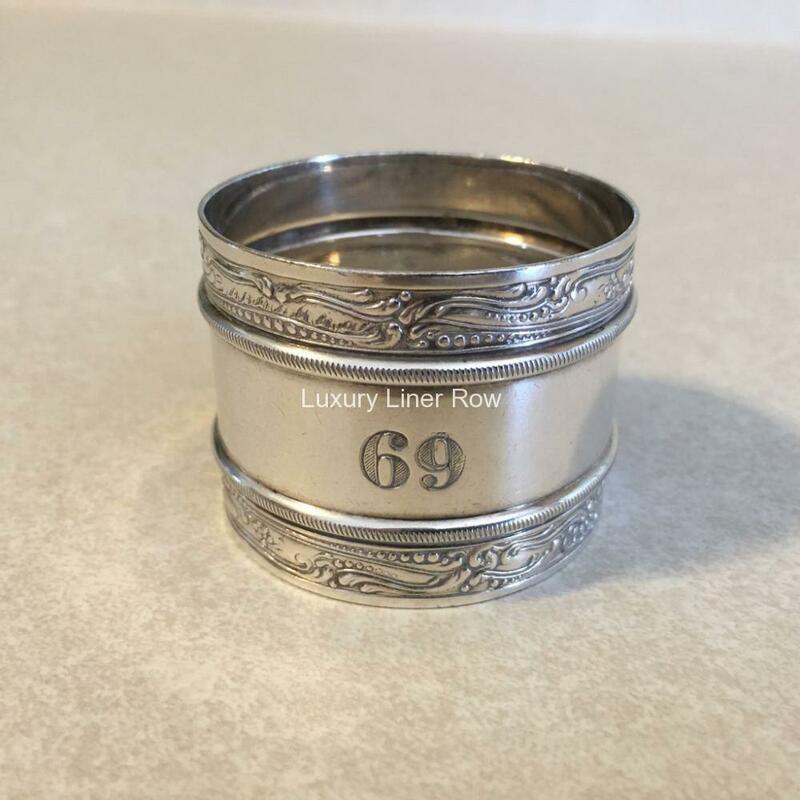 Silver napkin rings are no exception. 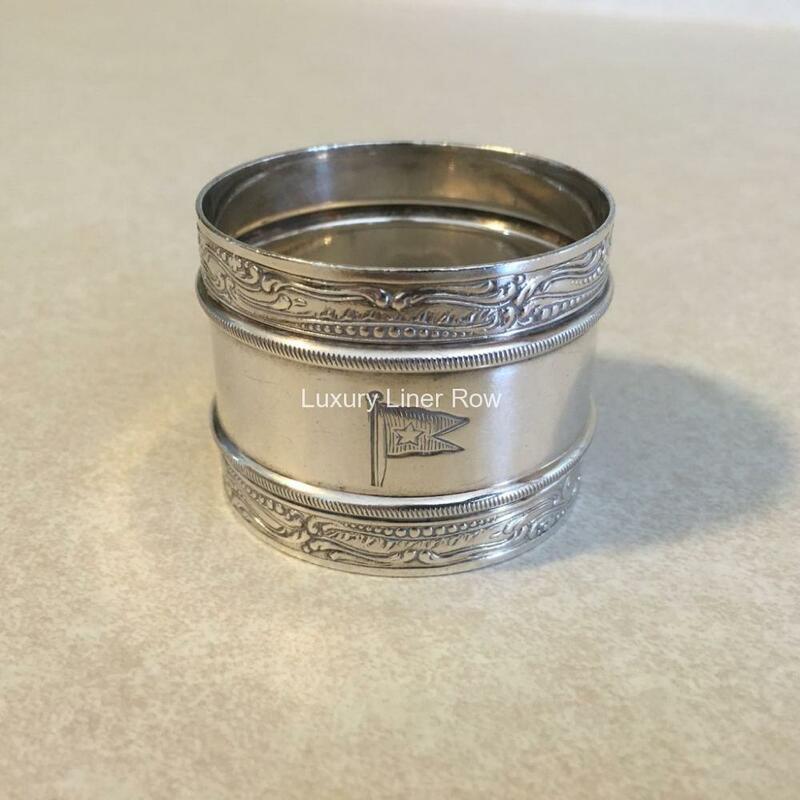 Have you ever noticed a photo of a White Star dining room with a napkin ring in use? I haven’t, and I have looked. All you ever see are artfully folded napkins. 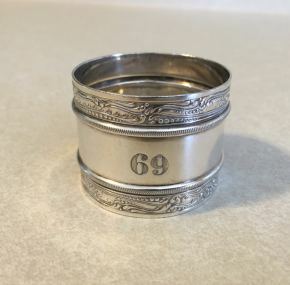 This leads me to speculation that perhaps the silver rings were set for breakfast or lunch only? Who knows at this point, but I do find this sort of thing fascinating and perhaps photographic proof will surface one day. 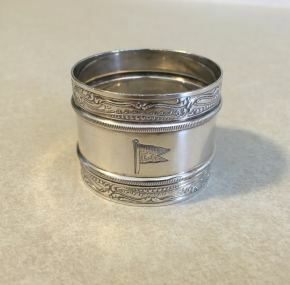 This napkin ring is quite fancy, perhaps for use in the à la carte restaurant on Olympic. It is in excellent condition and is much rarer than its reeded cousins. A lovely enhancement to any collection.